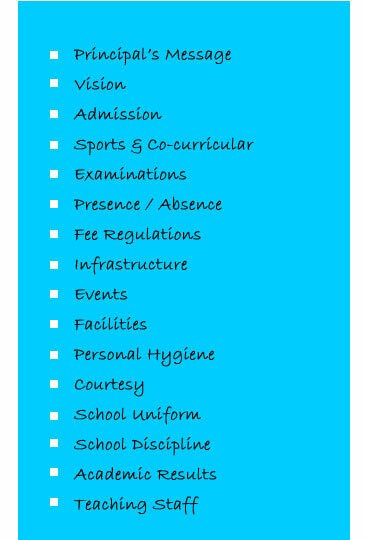 Pupils are expected to attend school on the reopening day after every vacation, Attendance at official school function like Republic Day, Independence Day, Sports Day etc., is compulsory. Leave of absence is granted on a "Leave Letter"
Pupils who leave without notice or who for unexplained reason, have been absent from school for more than one month are struck off the roll. Pupils returning after a long illness or a contagious disease must bring a doctor's fitness certificate.